Samsung has officially announced about launch of its newest tablet models in august month. Samsung Galaxy Tab S 2 Features has improved since older Samsung Galaxy Tab versions according information available in all over internet communities. It will come in two different 9.7 inch size and 8.0 inch size tablets. This Samsung tablet will come with a metal frame body around it. It will it strong body device with thickness of it. It will be coming in giant sizes like Apple iPad. It will let users experience wider screen and easy typing interface for use. Samsung Galaxy Tab S 2 will have Octa Core processor in it. Its four core will have 1.9 GHZ processing speed limit and remaining four core will have 1.3 GHZ processing speed limit. It will have 3GB LPDDR3 RAM for faster processing capability of tablet. These tablets will have 32 GB and 64 GB internal capacities according the model. It will also have support upto 128 GB Micro SD card. It will have two type product variant. First variant will be WiFi only model. Second variant will be WiFi and LTE supporting variant. The LTE model will have optional 4G LTE SKU to support cellular network connectivity for accessing Internet on tablet. The another difference in both sizes Samsung Galaxy Tab S 2 is about battery capacity. The 9.7 inch tablet will have 5870 mAh battery while the other 8.0 inch tablet will have 4000 mAh battery in it. In my view Camera on a tablet is useful when you want to do Video calling. Secondly it may be useful when you are sitting on a natural surrounded place like park, beach, forest etc. It has good cameras with 8MP rear and 2.1 MP front facing one. It will come with Android Lollipop OS version which is very common and popular in latest devices. 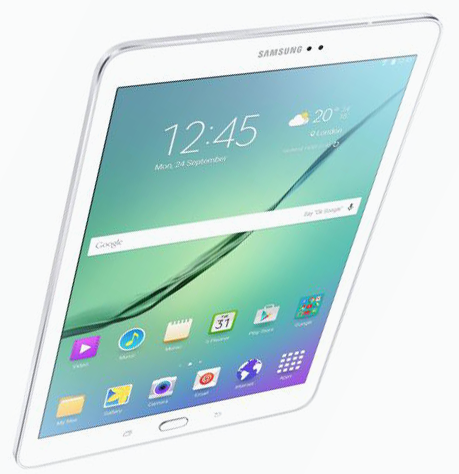 Do you think Samsung Galaxy Tab S 2 is your choice to buy? Let me know below in comments if you have any query or issues regarding the post.